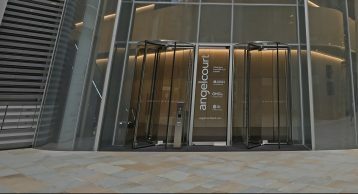 Situated within the Bank of England Conservation Area, the 1970s-built One Angel Court has undergone a recent reconstruction to create a standout City of London office scheme. To help gain planning permission for a new office development within a City of London conservation area, a 24-storey concrete-framed building was demolished in 2014, with the exception of its centrally located core, which was retained so that a new structure could be built around it. Replicating the original structure’s octagonal shape, One Angel Court incorporates two podiums, north and south, both in the same positions as the previous building’s podiums, but at seven storeys these structures are higher. 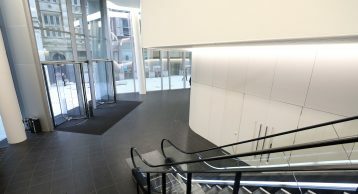 Sustainability is a key priority for the project, both in terms of meeting the planning targets imposed by the City of London and as a high quality sustainable building. 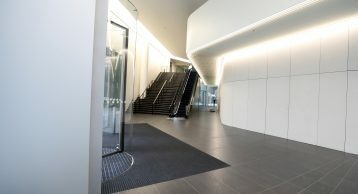 The commitment to reducing energy and water consumption across the entire office has supported key sustainability initiatives for the project. We at INTRAsystems believe strongly in this, and as a result the company is familiar with all environmental ratings such as BREEAM and WRAP and is helping clients achieve, and exceed, their sustainability goals. All production is in accordance with the Waste Management Act, with the goal to ‘reduce production of waste and their harmful effects.’ Critical processes are continually monitored to ensure minimum negative impact. 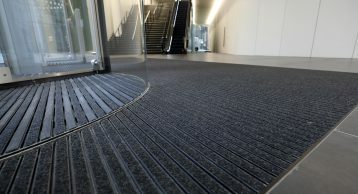 This stunning building utilised the benefits of our premium flagship Entrance Matting, INTRAflex XT. 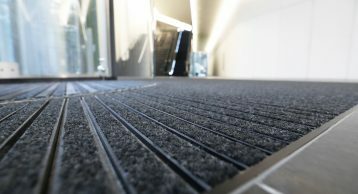 With a Drainable Waterlogic Base to the matting, moisture is no longer a problem for the entrance of this building. 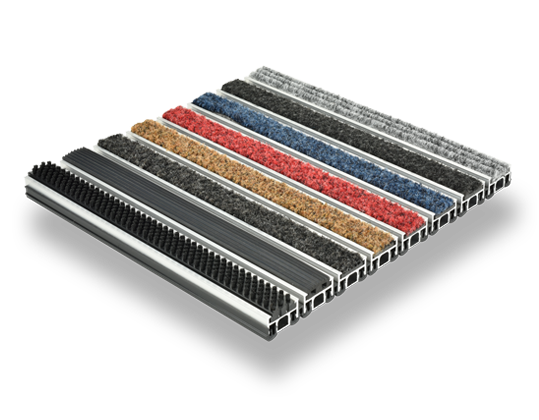 Combine that with Elite Polyamide inserts and the system makes for an ideal product to combat the ingress of dirt and moisture. 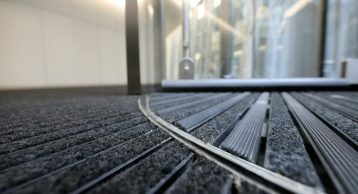 The matting is suitable for highest traffic areas, has removeable sections for ease of cleaning and is suitable for both internal and external applications. Working with Fletcher Priest Architects has given us an excellent opportunity to showcase our amazing products. 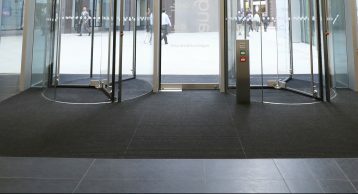 Contact us today to see how we can deliver high quality Entrance Matting for you and transform your reception area. 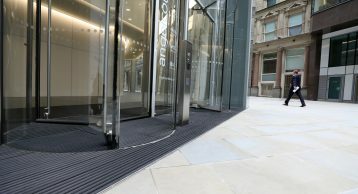 INTRAflex XT – Rubber Inserts externally, combination 608/rubber inserts in revolving door and black 608 inserts internally INTRAmatting Waterlogic – Used Externally and in revolving doors.